You may have heard the phrase “Kiss Up and Kick Down” to describe the behavior of some of your colleagues – extremely nice to consultants and invariably polite and courteous, but a completely different attitude towards junior staff. The most common context is a registrar who is sickeningly sweet to their consultants but a terror to their residents and interns. This strategy seems to have some obvious utility – our consultants are the ones who affect our career progression and recommend us for future jobs and it is important to make it clear that we are suitable candidates both clinically and professionally. 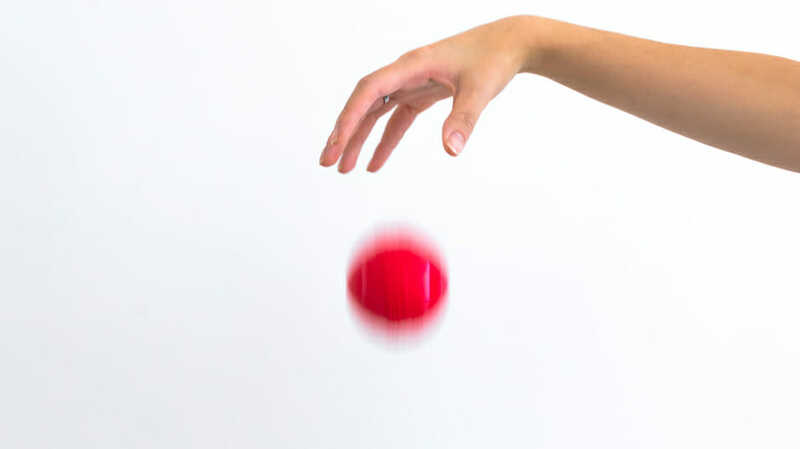 Kiss Up Kick Down works because people rarely ask junior staff what their opinion of their registrar is – how many times did a consultant ask you what you thought of their registrar when you were an intern? If junior staff were asked more often, kissing up and kicking down would lose its effectiveness. This strategy is not unique to medicine, and in fact has an entire Wikipedia page dedicated to it – Kiss Up Kick Down, which details the many instances of this strategy being employed. Ultimately it is a strategic stance that individuals may employ to maximize their chances of reaching the top of any complex human hierarchy or organisation. 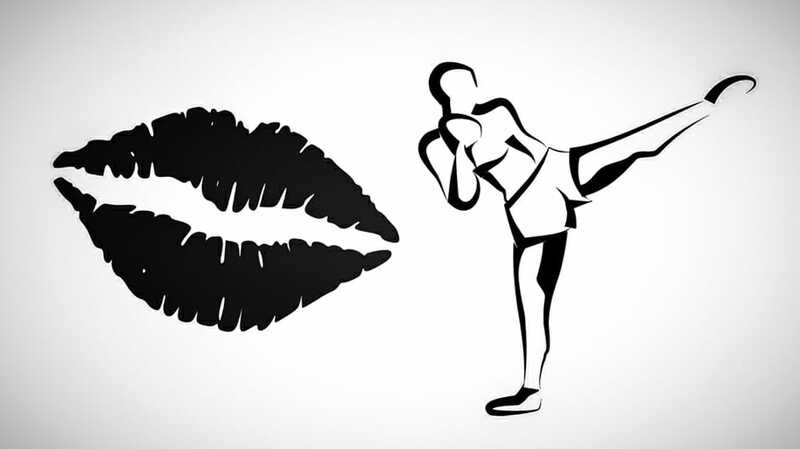 In an ideal world, the paradigm of Kiss Up and Kick Down should in fact be turned around to Kick Up and Kiss Down – an idea which I would not have come across had it not been for this article on this paradigm inversion Kick Up Kiss Down. The author details the importance of in fact kicking (metaphorically) your supervisors and kissing (metaphorically) your juniors. 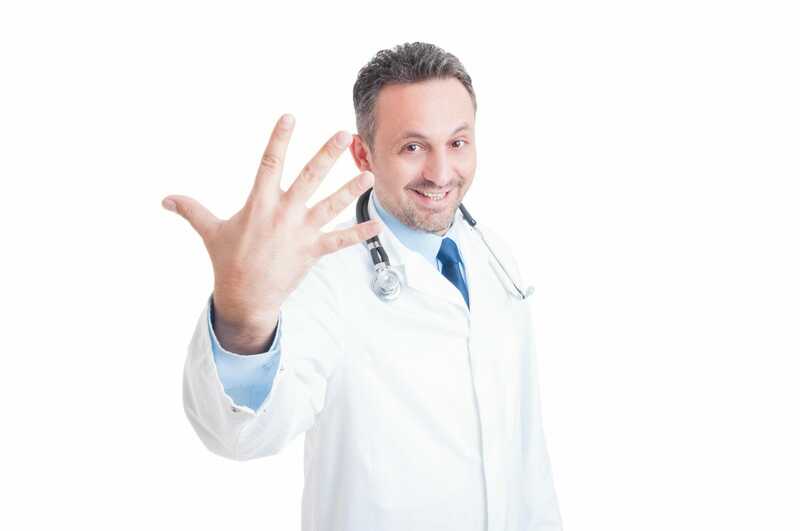 Kissing down is an incredibly powerful method – most doctors, myself included, can usually count the number of moments of real praise given to us by a senior doctors on one hand. We treasure these moments and use them to model our own behavior and gain our sense of confidence. But why are they so few and far between? There are many reasons, but partly because kissing down is such a rarity in medicine and kicking down is so much more common. Think about Cox from Scrubs, the archetypal senior doctor that all junior doctors are terrified of – if he speaks a word of praise to one of them then they are rendered insensate for days as they become enveloped in a blissful shell of validation, purpose, and recognition. Perhaps it is because we idolise these Cox figures and their praise is hard won and therefore meaningful when given. Instead of these moments occurring on an annual basis, why not have these moments of meaningful praise occur on a monthly or a weekly basis? Ultimately this problem points to the fundamental insecurity of training – “Am I good enough?”. The point of training is to work this out, and there are various structures in place to help those who are falling short, but by and large we are all good enough and someone just needs to let us know. Navigating the terrain of gaining competence in multiple domains whether it be knowledge acquisition, patient communication, time management, or clinical decision making is tough and we can use praise as signposts as to when we are making progress. We rarely get these signposts in medicine and feedback is often covert or received too late. On the other side, kicking up sounds like a confronting method and also a shortcut to unemployment but in fact, it is common, appreciated and expected when appropriate. We all know the health system is not perfect, and it is our role to drive change within it. There are numerous groups and committees of junior doctors every day who are “Kicking Up” – fighting for better conditions, better resources and better processes, all for the ultimate aim of delivering the highest quality and safest patient care across all hospitals. As an intern, be confident in being able to discuss with your registrar if you have any ideas on how the ward round or the day could be more efficient. As a registrar, you may have a consultant who rounds very late in the day – and this could be an opportunity to “Kick Up” and outline why you think a morning ward round would be more efficient. I can imagine the intern being eternally grateful to the registrar who successfully advocates for a morning round. There are opportunities all around you – be polite, be assertive and be prepared to negotiate. Use the systems that are already in place like committees, term assessments and meetings which might give the opportunity to highlight constructive ways ward or hospital processes can be improved. Aim for suggestions which are achievable, meaningful and which change how something is done as much as what is done (even senior consultants can sometimes be unable to change what we have to do, but there is often a better way of doing it). We all work in an imperfect system and there might be reasons why things are done a certain way – it’s important to give seniors the chance to explain their own system barriers and stressors, and this can form part of your learning too. 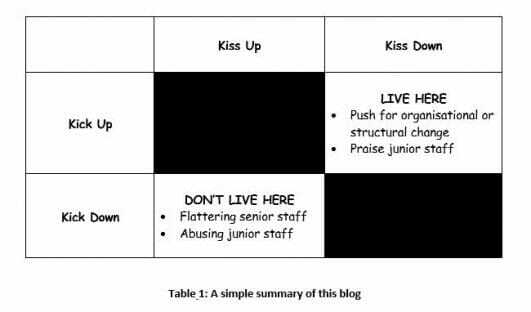 Each of us can carry this “Kick up and kiss down” change forward, by either appreciating our juniors if we are registrars now, or remembering to do this when we get in a position where we are supervising. Remember, that our current behaviour and attitudes will become the culture of the future. Kicking down creates an unpleasant and unhealthy work environment where neither patients nor junior doctors flourish. A “Kick Down” culture is a fertile environment for poor patient outcomes and can be a significant contributor to junior doctor burnout which we all are starting to recognize as a serious issue within our health system. Do nice doctors finish last? I moved from the UK to work in an ICU Read More..